You enjoy making a difference in the lives of your patients, families, and colleagues and want to continue your education with a master’s in nursing. With the healthcare climate changing at lightning speed, having the skills and knowledge to lead high-performing organizations or nursing education programs is critical. Nurses are leading the way toward an improved health care system in the U.S. by advancing degrees and practicing at the full extent of their education. Be one of these nurses! ECPI University’s Master of Science in Nursing (MSN) program encompasses two distinct and high-demand concentrations: Nursing Education and Family Nurse Practitioner. The concentrations are guided by the American Organization of Nurse Executives (AONE), the National League for Nursing’s Certified Nurse Educator (CNE), and the American Association of Nurse Practitioner’s (AANP) core and population-specific competencies. If you love working with patients but want to play a bigger role in their treatment, becoming a Family Nurse Practitioner may be just the right move. ECPI University’s MSN – Family Nurse Practitioner program can prepare you to treat patients of all ages, diagnosing illnesses, prescribing drugs, ordering diagnostic tests, and performing physical exams. Advanced practice nursing provides the close patient contact you have always enjoyed. RNs are in demand and the need for advanced practice nurses is even higher with the aging population. According to the U.S. Bureau of Labor Statistics, employment of nurse anesthetists, nurse midwives, and nurse practitioners is projected to grow 31 percent from 2014 to 2024, much faster than the average for all occupations. What’s more, by taking classes year-round, you can complete the MSN – Family Nurse Practitioner program in as little as 22 months. Have you been told you are a great teacher, you know how to talk to students, or you are a terrific preceptor for nursing students? Are you looking for a career that advances the profession and makes a difference one nursing student at a time? If so, the MSN degree in Nursing Education is a perfect fit for you! In the Nurse Educator concentration, you apply the theoretical foundations of education, policy and politics of healthcare, statistics, healthcare technology, curriculum planning/development, and teaching and learning strategies in the online or hybrid classroom and in practicum settings. You will use current technologies such as iPads, apps, Wikis, and blogs to learn and share your knowledge. Learn more about MSN - Nursing Education here. Whether you are a bedside nurse looking toward career advancement or a nursing leader seeking advanced knowledge and skills, the Master’s in Nursing Program at ECPI can help propel your career forward. Nursing is moving toward advanced education due to forces such as the Institute of Medicine Report on the Future of Nursing (2010)**, hospitals striving to be centers of excellence, and consumers asking for higher standards and better outcomes. Nurses no longer advance through the ranks and aspire to change the world of nursing without being educated to the knowledge, skills, and attitudes required to lead the change. Nursing, as any other business, has now become data driven where outcomes are measured and strategic plans for improvement are written, implemented, and evaluated. ECPI University’s Master’s in Nursing Program will prepare you to lead the way. If the nursing profession is calling you, consider ECPI University’s College of Nursing, Medical Careers Institute (MCI). Through MCI’s year-round program, you can earn a Master of Science degree in Nursing with a concentration in Nursing Education or Family Nurse Practitioner in just 15 months. 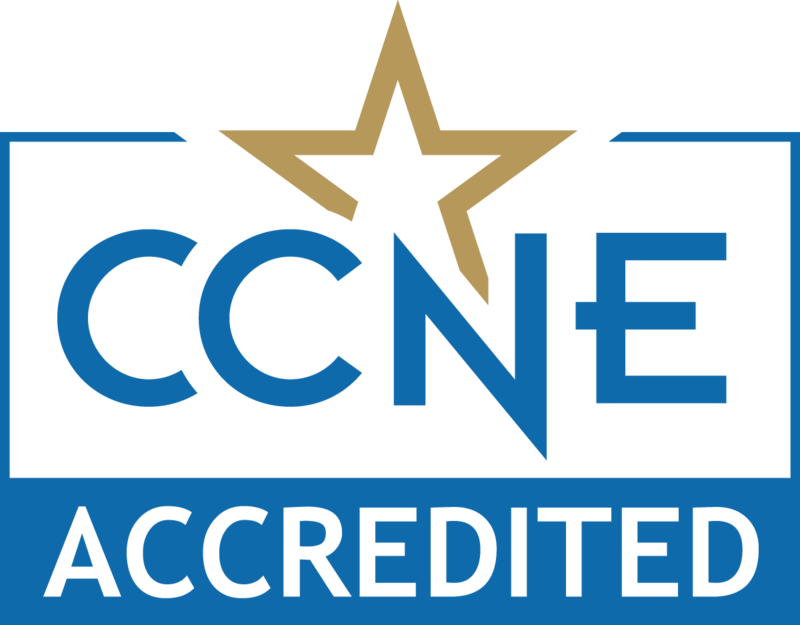 The Accelerated Baccalaureate Nursing program at the ECPI University Orlando, Florida campus is accredited by the Commission on Collegiate Nursing Education, 655 K Street, NW, Suite 750, Washington, DC 20001, 202-887-6791. For more information, visit http://www.ccneaccreditation.org/. The Masters of Science in Nursing (MSN) Degree program builds on the skills and knowledge of a diverse population of registered nurses with a bachelor degree in nursing and preparing them to succeed in progressive roles in inter-professional health care and education settings. The program assists future educators and practitioners in the advancement of their professional practice through scientific inquiry and other scholarly activities. Graduates of the Nursing Education concentration will be prepared to educate nursing students and practicing nurses in academic and clinical settings. Graduates of the Family Nurse Practitioner concentration will be prepared to provide primary care in ambulatory, urgent care, and long-term care settings. Complete a personal interview with admissions. Complete a graduate application for admission and enrollment agreement. Bachelor's degree in Nursing from a program accredited by the Accreditation Commission for Education in Nursing (ACEN) or the Commission on Collegiate Nursing Education (CCNE) and from an academic institution recognized by the Council of Higher Education Accreditation (CHEA). Undergraduate coursework. Applicants who do not have previous undergraduate coursework in statistics, health assessment, or research may be required to complete one or more prerequisite courses prior to acceptance in the graduate program. Undergraduate cumulative grade point average (CGPA) of 2.5 (on a 4.0 scale). Current resume and unencumbered RN license. Each applicant submits a current resume that indicates current nursing work experience in the field in the last 3 years. Integrate evidence-based nursing practice and related sciences for the continual improvement of nursing care to individuals, families, and communities. Perform as a member, educator, and leader of nursing by developing and implementing patient safety measures and quality improvement initiatives as part of an inter-professional team using appropriate theories, communication skills, and effective group dynamics. Ethically utilize current technologies to communicate with the interdisciplinary team, improve and coordinate care across the continuum, strengthen the delivery and outcomes of nursing education, leadership and advanced practice, and analyze healthcare data. Advocate for policies that improve the health of the public and the profession of nursing by using the broad determinants of health (psychosocial, economic, and cultural factors), and the legal and ethical foundations of nursing. Implement current standards of practice and healthcare policies to design, deliver, manage and evaluate culturally appropriate, evidence-based education and nursing care for select populations. Analyze various roles of graduate-level nursing and synthesize personal philosophies of nursing within the changing education or healthcare environments. Demonstrate role development by performing in the role of nurse educator, leader or advanced practitioner by integrating the concepts related to the area of practice demonstrating expertise, evidence-based practice, and the appropriate competencies. Important information about the educational debt, earnings, and completion rates of students who attended this program can be found by clicking here and for Family Nurse Practitioner here. Concentration offerings vary by campus location.